The gastroenterology specialists at Digestive Health Associates are committed to bringing new technologies and services to patients. As the leading group of board-certified gastroenterologists in Southeast Wyoming, we make top quality care for our patients our first priority. Dr. Kranz came to Cheyenne in 1991 and joined Internal Medicine Group (IMG), which became Digestive Health Associates (DHA) in May, 2016. Dr. Kranz received his undergraduate degree in Biochemistry from Penn State in 1972. Then he received a certificate of Physical Therapy from New York University in 1974. He received his medical degree from New York Medical College in 1980. He completed an internship at Tripler Army Medical Center in Hawaii and his internal medicine residency at Fitzsimmons Army Medical Center in Denver in 1984. Dr. Kranz worked as a general internist at Ft. Campbell, KY for two years, then went to the University of Louisville for his gastroenterology fellowship, which he completed in 1988. He worked as an Assistant Professor of Medicine in the Division of Gastroenterology at the University of Louisville until 1991 when he moved to Cheyenne. While a member of the faculty at the University of Louisville, he received training in liver transplantation at the University of Nebraska. Together with Dr. Rick Bentley, he started the Liver Transplant Program at Jewish Hospital in Louisville, KY.
Dr. Kranz obtained board certification in Internal Medicine, Gastroenterology, and Holistic Medicine. In addition, he received Medical Acupuncture training at UCLA. He has been a long-term member of the American College of Gastroenterology. He was elected as chairman for the Department of Medicine at Cheyenne Regional Medical Center twice and currently serves on the Board of Directors of Cheyenne LEADS. His priorities in the practice of gastroenterology and liver diseases are: 1) to engage patients in helping them make informed decisions in their medical care; 2) respecting an individual’s choice in their health care decisions; and 3) incorporating traditional methods as well as holistic approaches to various health conditions of the digestive system. 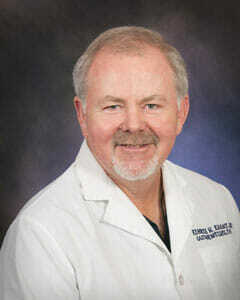 Dr. McRae joined the gastroenterology team at Digestive Health Associates of Cheyenne in 2013. He obtained his BA degree in Molecular, Cellular and Developmental Biology at CU Boulder in 1989 and his MD at the University of Colorado Health Sciences Center in Denver. After graduating, he served in the Army for 10 years where he completed his internship, residency, and fellowship in Gastroenterology. During his military service he received many awards, including Army Commendation medals and the Meritorious Service medal. He also served as Chief, Gastroenterology Service at Fort Hood, Texas from 2005 to 2013. Dr. McRae is board certified in gastroenterology and is a member of the American College of Gastroenterology and American Society of Gastrointestinal Endoscopy. He enjoys swimming, mountain biking, travel, and motorcycle riding. Dr. Buran is a board-certified gastroenterologist with 20 years of clinical experience. He joined Digestive Health Associates of Cheyenne December 2015. Dr. Buran attended medical school at Michigan State University, College of Human Medicine, where he was elected to the Alpha Omega Alpha Honor Medical Society in his third year. He completed his internal medical residency at the New England Medical Center in Boston, Massachusetts and a gastroenterology fellowship at the University of New Mexico School of Medicine in Albuquerque. Dr. Buran has an interest in advanced endoscopic procedures including ERCP and endoscopic ultrasound. He is a member of the Society for Gastrointestinal Endoscopy. To view Dr. Buran’s CV, click here. Dr. Horner joined Digestive Health Associates in 2017 and is accepting new patients. A native of the west, Dr. Horner grew up in southern Colorado, undertook medical training in Colorado and Utah, and is now happy to call Wyoming home. Dr. Horner holds a Bachelor of Arts degree from the University of Colorado and a Master of Science degree from Colorado State University. 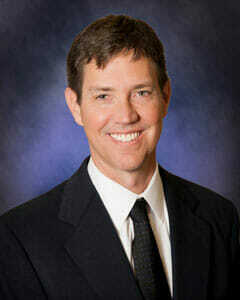 He earned a Doctor of Medicine degree from the University of Colorado School of Medicine. He completed an Internship and Residency in Internal Medicine at the University of Utah Health Sciences Center and went on to serve on the faculty of the University of Utah School of Medicine, practicing hospital medicine. Dr. Horner then completed Fellowship training in Gastroenterology and Hepatology at the University of Utah Health Sciences Center. He also served as Chief Fellow. Dr. Horner specializes in caring for a wide range of gastrointestinal and liver conditions. These include esophageal and stomach disorders, inflammatory bowel disease, liver disease and cirrhosis, and disorders of the pancreas and biliary tract. He sees patients in the Digestive Health Associates office, performs endoscopy at the Wyoming Endoscopy Center and Cheyenne Regional Medical Center, and is on the consultative medical staff of Cheyenne Regional Medical Center. Dr. Horner is a member of the American College of Gastroenterology, the American Gastroenterological Association, and the American Society of Gastrointestinal Endoscopy. In his free time, he enjoys cooking, woodworking, hiking, and camping. 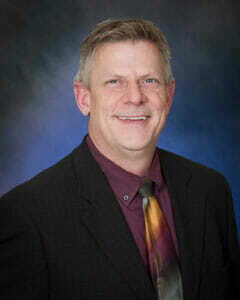 To view Dr. Horner’s CV, click here. Maria Elvira Mullikin, NP–C graduated from the University of Wyoming with a Bachelor of Science Degree in Nursing in May 2005, and a Master’s Degree in Science of Nursing in August 2011. 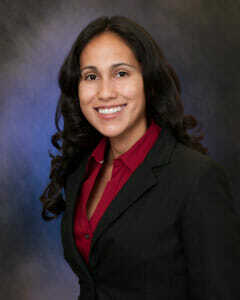 She is board certified through the American Academy of Nurse Practitioners Program. She provides a full range of Gastroenterology and Hepatology services. And, with her certification and advanced education in Bariatrics, she coordinates Digestive Health Associates’ Comprehensive Medical Weight Management Program. Prior to pursuing her advanced practice degree, Elvira worked as a Registered Nurse in a variety of settings from urgent care, long term care, pediatrics, orthopedics, and neurology. She joined the team at DHA in September 2015. Elvira is a member of the American Gastroenterological Association and the American Association of Nurse Practitioners. Outside her work at DHA she can be found providing patient care in the Emergency Room at Cheyenne Regional Medical Center and Stitches Acute Care Clinic.